Favorite Things: Holiday Edition Pt. 3! Our third Est8te Elf spotlight is Mary Ellen sharing what she is loving to gift this season! All Thompson Ferrier candles are nestled beautifully in a reusable vessel that can be used after burning as a vase or cool decor! 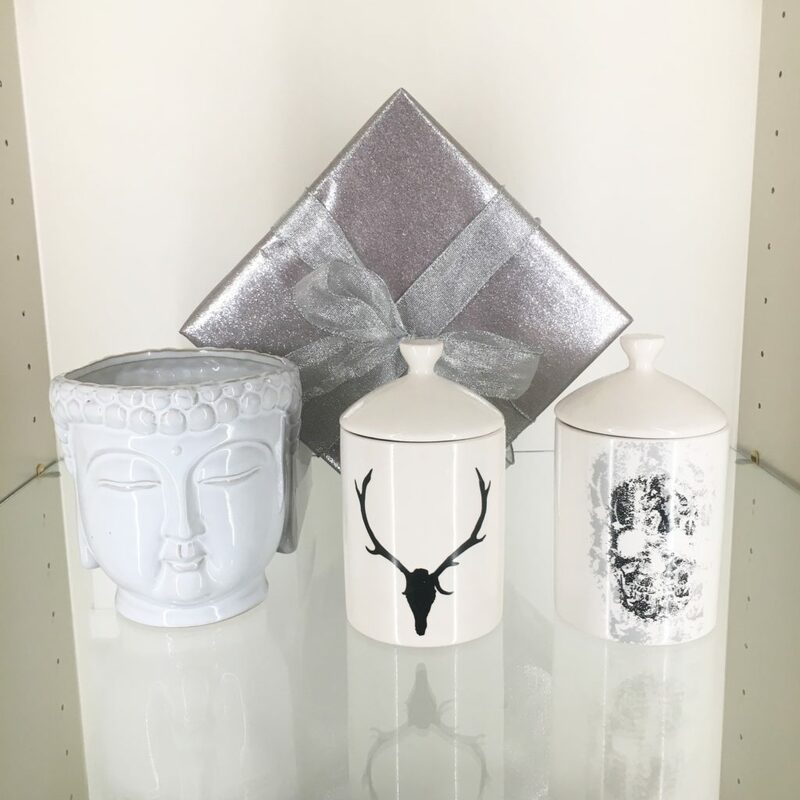 Elephants, antlers, skulls, and Buddha, these fragrant candles only need a bow or festive bag to set up for special gift giving. “I have too many candles, ‘said no one EVER! '”Priced from $30 to $70 each of these make for great hostess gifts, gifts for mom, or even a gift for that person on your list who has everything!